Last year there were more than 1,400 wildfires and 60 per cent were started by human activity, says the province as it begins to prepare for the new season beginning March 1. This comes on the heels of the fiery summer of 2014, considered to be one of the worst fire seasons in the province's history. 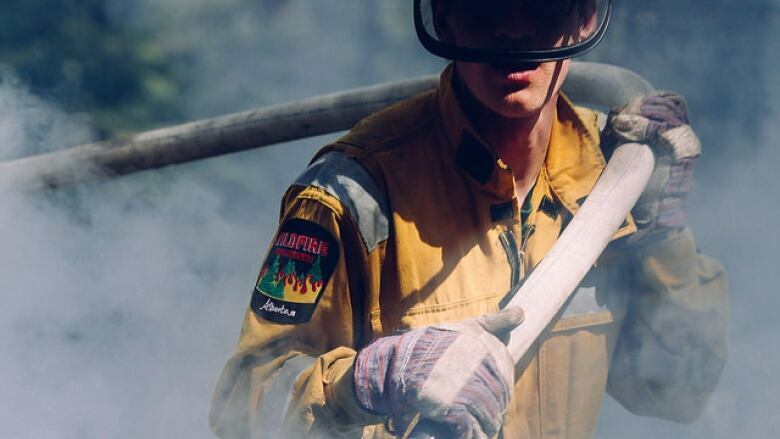 In mid-July there were more than 100 fires burning at once. Alberta crews responded to more than 1,400 wildfires in 2014, more than 60 per cent of which were caused by human activity, officials say. Officials are asking Albertans to take extra care while burning this spring as dry conditions and strong winds can fuel flames. All industrial or commercial operations in Alberta should be sure that emergency response and wildfire management systems are fully operational to quickly and effectively respond to potential wildfire situations. Any individual or company found responsible for starting a wildfire may be charged with the cost of fighting that fire and may be fined under the Forest and Prairie Protection Act. Fire permits are required as of March 1 within the Forest Protection Area for all types of burning, except lighting campfires. Permits are free and are available through Environment and Sustainable Resource Development offices. The wildfire season ends Oct. 31. To report a wildfire in Alberta, call 310-FIRE. For information about fire bans and forest area closures in Alberta, visit albertafirebans.ca.